18x24x1 12-thru- Adjustable Pleated Air Filter | Air Filters, Inc. The innovative Expand-A-Pleat™ air filter easily expands to fit hundreds of sizes and provides clean air in the home or office for three months. 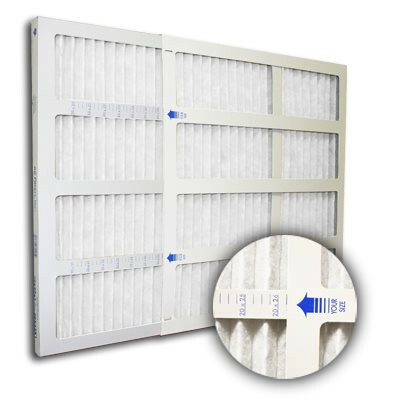 This new air filter design uses an adjustable, sliding frame and high quality, expandable filtration media to accommodate both common and custom sizes. "With customers like homeowners, hospitals, and schools requiring custom sizes, it made sense to create an adjustable, one size fits all filter," says inventor and Air Filters, Inc.™ CEO Anthony Dimicelli. 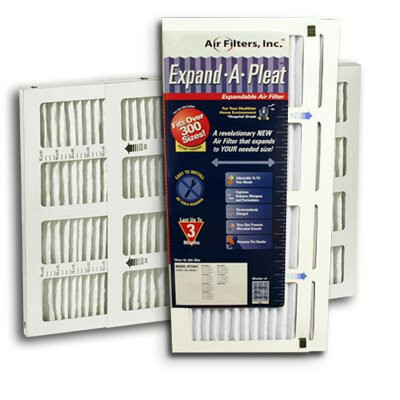 The Expand-A-Pleat™ filters eliminate the trouble and cost of replacing hard to find, out-of-stock, or custom size air filters. For consumers, the benefits include size availability, low price, quality, and ease of installation; for retailers, less UPC codes and smaller inventories which offer coverage of over 300 sizes. In this time of air borne disease, pollution, and allergens, air filtration is becoming a vital necessity for good health. The Expand-A-Pleat™ improves indoor air quality by capturing smoke, pet odors, mold spores, dust, microorganisms, and other particles. This new filter simplifies replacing all your air filters in a timely, convenient, and affordable way. "We want to make it easy for people to have clean air, and that means having the right air filters on hand when you need them" remarks Dimicelli.